The 52-year-old suspect — an employee at the nursery — was taken into police custody and was being treated for her wounds and undergoing a psychiatric examination, authorities said. 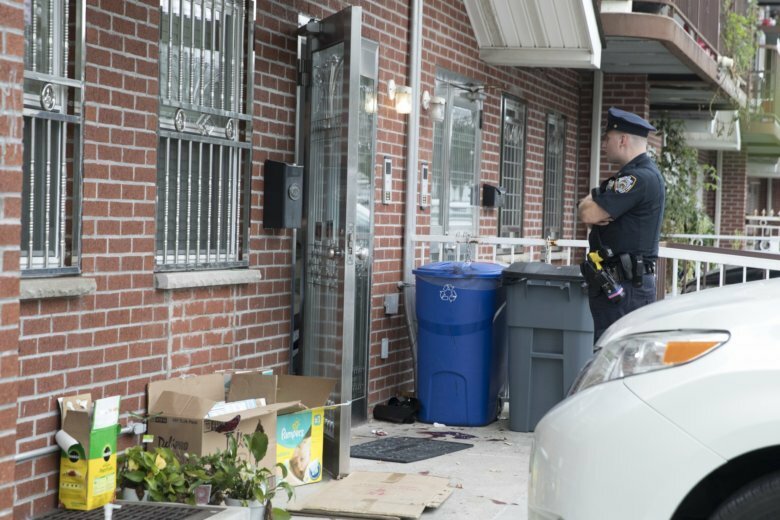 NEW YORK (AP) — A woman stabbed five people — including three newborn babies — and then slashed her wrist early Friday inside a New York City home that was apparently being used as an unlicensed neighborhood nursery for new mothers and their children, authorities said. All of the victims in the attack, which happened before 4 a.m., were hospitalized but expected to survive. No immediate charges were filed, and police said the motive was under investigation. Investigators were trying to piece together what happened inside the building, a three-story, multifamily townhouse in a neighborhood popular with Chinese immigrants in the Flushing section of Queens. Nine babies were there during the attack, and the place had at least 11 cribs, the district attorney’s office said. Local elected officials said it appeared it was an unlicensed facility for new mothers and their babies to convalesce for a month, in keeping with Chinese tradition. “This is every parent’s worst nightmare imaginable,” said state Assemblyman Ron Kim. He said it had apparently been operating for more than 10 years. Police responding to a 911 call discovered a 3-day-old girl and a 1-month-old girl who had been stabbed in the abdomen, and a 20-day-old girl with cuts on her ear, chin and lip. The father of one of the children and a woman who worked there were also stabbed, police said. A butcher knife and meat cleaver were found at the scene. The woman suspected in the attack was discovered bleeding and unconscious in the basement, and after officers applied a tourniquet, she regained consciousness and was taken to the hospital, police said. A Pampers box could be seen outside the building’s front door. In the afternoon, a woman emerged from the house carrying a baby in her arms. She was driven away in a police vehicle. State records indicate that a business called Mei Xin Care Inc. was registered at the address, but there was no listed phone number for that company. Dr. Anderson Sungmin Yoon, who works at a nearby community center offering counseling, came by on Friday to offer comfort to neighbors. He said there is often a stigma in the community about seeking counseling for psychological problems. Associated Press writers Stephen Groves and Jennifer Peltz contributed to this report.